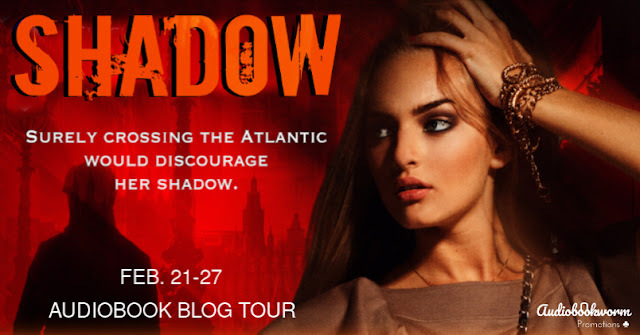 Shadow: Blue-Link #1 ~ Audio Book Blog Tour, Review, & Giveaway! Sophie Diem's boss has skipped town, abandoning their counseling firm and taking her investment money with him. As she seeks to rebuild her professional career, she is distressed by the appearance of a stranger. The man keeps to the shadows, but he is definitely stalking her. In an attempt to flee him, she accepts a job offer...in London. Surely, crossing the Atlantic would be enough to deter her shadow. Glenn Barber is a desperate man. He sorely wants answers. The man who can supply them has gone missing, though. Now, all Glenn can do is go after the next best thing: the man's former employee, Sophie Diem. 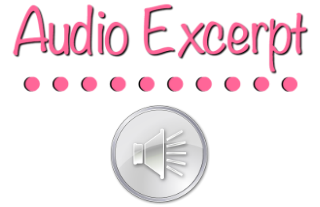 HALL WAYS REVIEW: Audio book review. 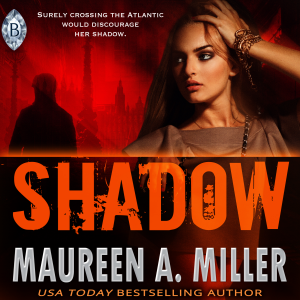 In Shadow, by Maureen A. Miller, wonderful layers of mystery stack up as the reader dives deeper into the story. As one mystery unfolds, another comes to light; questions get answered, but new ones arise to keep reader curiosity fully piqued. But it’s not just the mystery element that will keep readers reading (or reading with their ears, like me). 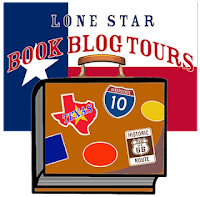 Miller has all the right pieces for an engaging story: suspense, danger, romance, and even international travel. But for me, it is the characters that make the story work. 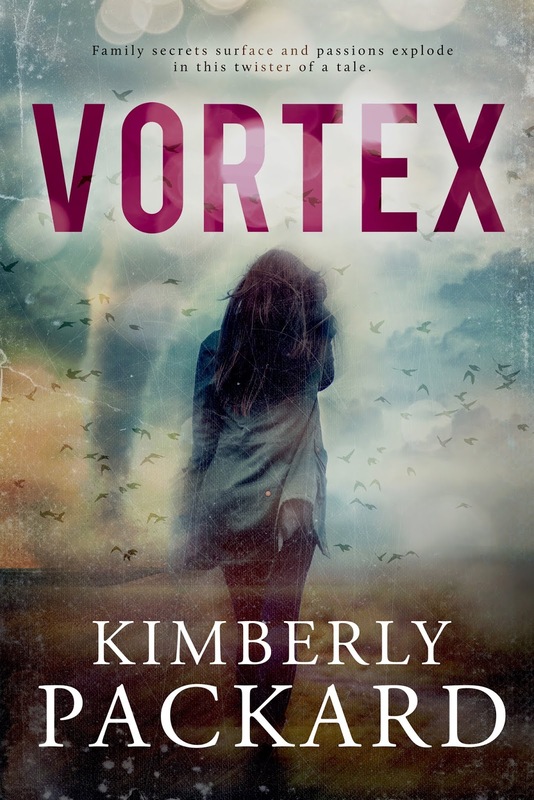 By providing dual points-of-view, Miller gives readers the other side of the story – Glenn is not a stalker, he’s a desperate and broken man searching for answers. Hearing Glenn’s thoughts and feelings completely switched how I felt about him, and his motives became understandable. Glenn’s is an equally complex character, and his struggle to find himself worthy of love or happiness is palpable. What’s going on with Sophie and Glenn gets heavy, as is the building sexual tension between them, so the scenes including the characters of Amanda and Sam are excellent distractions. Amanda is the elegant and enigmatic boss of Blue-Link, Sophie’s London-based employer. I feel like there’s something more to her than we’re allowed to see in Shadow, and honestly, this piece is a major driver for my wanting to read the next book in the series. On the opposite side of the spectrum is the character of Sam, who provides what Sophie -- and readers -- need: a lovable, quirky, comical, steadfast friend and protector. He’s really Sophie’s hero, too. Odd as it may seem, bad guy Nathan really isn’t much of a thing. He is a presence because he’s wrecked so many lives, but there isn’t much build-up and it’s a bit anti-climactic when he makes his inevitable appearance. Sam is the scene-stealer there, but I fear he won’t be a recurring character based on the ending of the story. There are some minor plot holes, a few places that behaviors/reactions didn’t seem reasonable, and some bits of peculiar dialogue (including some F-bombs that seemed unnecessary and incongruous with the character). But overall, I recommend the audio book of Shadow as an entertaining escape into an intriguing story line. Listening to it was time well spent. 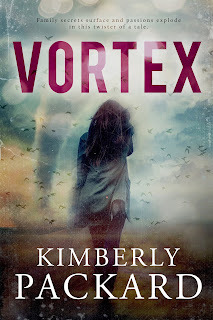 ABOUT THE NARRATION: This is the second book I’ve heard narrated by Brandy Skelly, and I am happy that her delivery was much more consistent and cleaner than last time. I listened to the book at regular speed, which is a rarity, but Skelly’s pacing was just right. Her voicing of characters, male and female, was good and she made it easy to distinguish them. And while Sam’s British accent worked, Amanda’s was less authentic. Even so, by book’s end, I had adapted and accepted it as her voice. Technically speaking, this was a much better recording than the last of Miller’s books I listened to; however, there was a sizable glitch about an hour in that had a long stutter and then several seconds of silence. 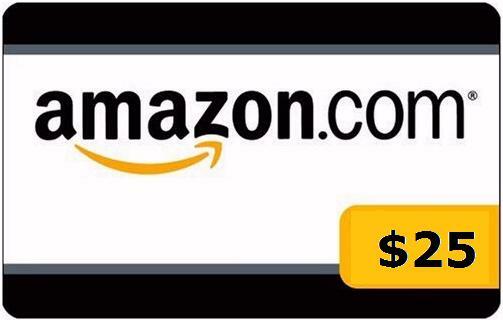 Thank you to the author and Audiobookworm Promotions for providing me an audio download in exchange for my honest opinion – the only kind I give. 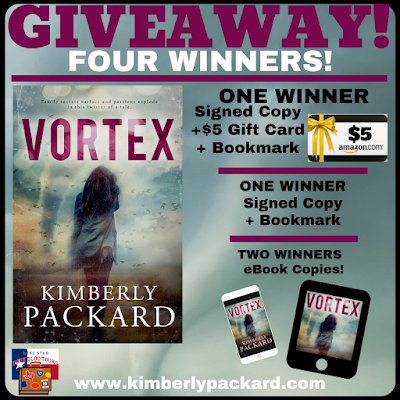 I received this audio book as part of my participation in a blog tour with Audiobookworm Promotions. 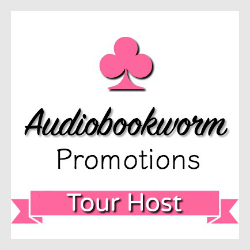 The tour is being sponsored by Maureen A. Miller. The gifting of this audio book did not affect my opinion of it. Maureen's first novel, WIDOW'S TALE, earned her a Golden Heart nomination in Romantic Suspense. After that she became hooked to the genre. 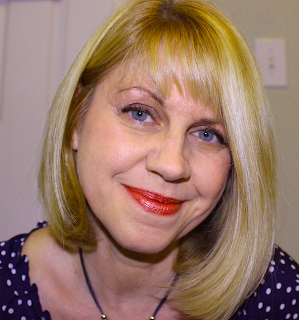 In fact, she was so hooked she is the founder of the JUST ROMANTIC SUSPENSE website. 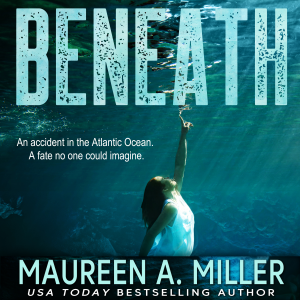 Recently, Maureen branched out into the Young Adult Science Fiction market with the popular BEYOND Series. 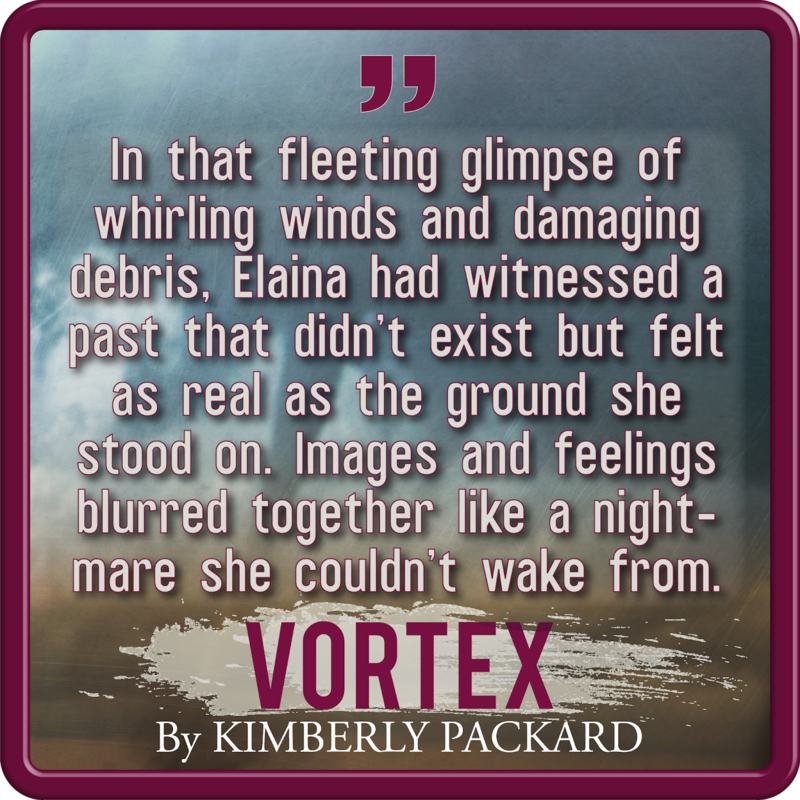 To her it was still Romantic Suspense...just on another planet! About Brandy Skelly: I studied theatre in college and even participated in storytelling festivals when I was growing up. I'm a practicing attorney and love to participate in ACX projects to keep my creative side happy and fulfilled. 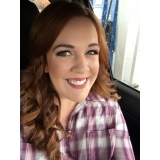 I can perform fiction and non-fiction, in neutral-American or Southern-American accents. I live in North Carolina with my husband, toddler, and pound puppy. I have a soft spot for romance, and I love a good laugh! Bridge to Burn ~ Audio Book Blog Tour, Review, & Giveaway! 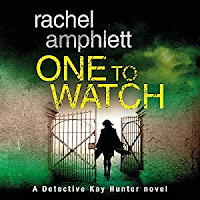 But as Kay closes in on the killer, tragedy strikes closer to home in an event that will send a shock wave through her personal life and make her question everything she values. Can Kay keep her private and professional life under control while she tries to unravel one of the strangest murder cases of her career? 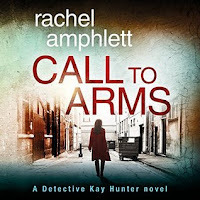 The Detective Kay Hunter crime thriller series by USA Today bestselling author Rachel Amphlett: pause-resisting British police procedurals for listeners who love Peter James, Ann Cleeves, and Peter Robinson! HALL WAYS REVIEW: Audio book review. Bridge to Burn is the seventh book in the Detective Kay Hunter series, and I honestly don’t think I will ever get tired of reading these books with my ears. 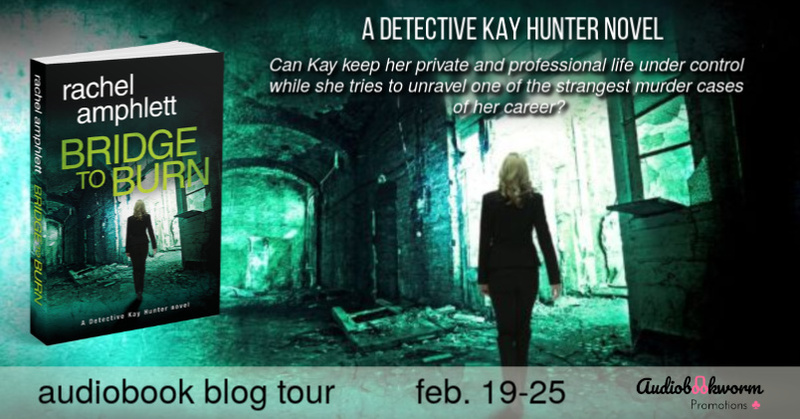 Kay’s team of detectives are all back together and more cohesive than ever. 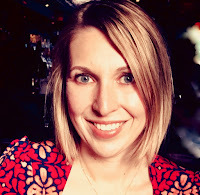 And, there’s a new addition, Amanda, a young and whip-smart finance expert, who totally appeals to the numbers nerd in me. The camaraderie and supportive culture within this group gives warmth to what could easily be a cold environment. Kay’s leadership has the team working as a well-oiled machine, but it’s also clear that Kay misses the relationships before she was promoted. 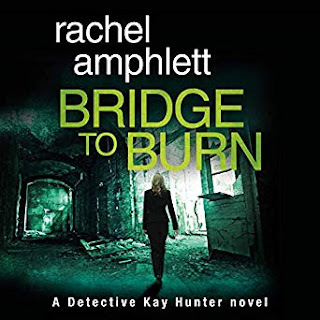 Readers will be pleased that in Bridge to Burn, they get to get personal with Kay again, as Kay’s extended family comes back into the picture with all the related tension and drama built by some of the prior books. 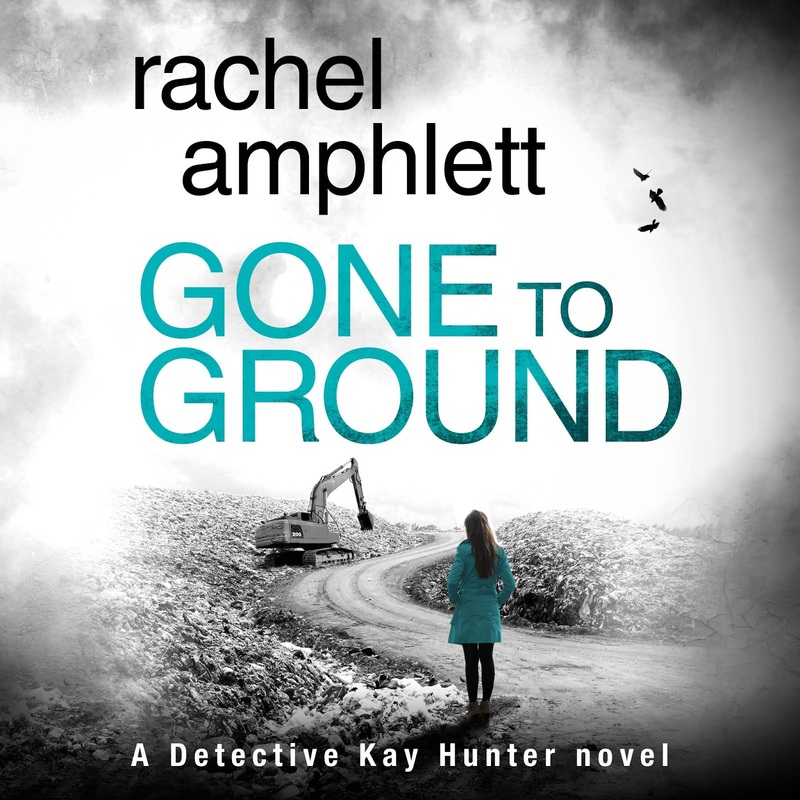 Amphlett continues to reveal only small doses of Kay’s complicated family, but they are high-interest and add a layer of realism to the story that allows readers to be able to better relate to Kay. Happily, Kay’s faithful husband Adam (along with the latest pet he’s brought home from the clinic) is a steady presence in the story. I just want to hug him for all the things he does right in their marriage. ABOUT THE NARRATION: No surprise here. Alison Campbell NAILS the British-ness of it all, whether voicing male or female, young or old. Somehow, even the most macabre of details are palatable when delivered by Alison Campbell’s delightful accents. I will admit that I *gasp* listened to this one at regular speed and drank in every syllable. With the audio coming in at just over six and a half hours, it is a luxury that readers can afford. (This series hits my audio book length sweet spot.) 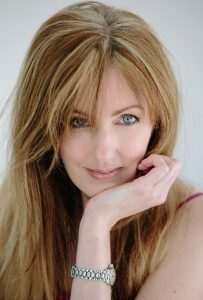 In addition to the British, Campbell provides yet another delightful accent and attitude in voicing the new character, Amanda. (I don’t know my accents well-enough to be sure, but I think that might be an Irish lilt? It’s lovely.) Side note: this book was provided through the Authors Direct platform. Pro: it allows listeners to control the speed in 15 second increments versus Audible’s 30; Con: laptop listening isn’t an option – it works only on the app installed to a phone or tablet. 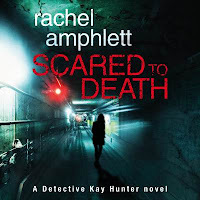 Thank you to Audiobookworm Promotions and the author for providing me a digital download in exchange for my honest opinion – the only kind I give. 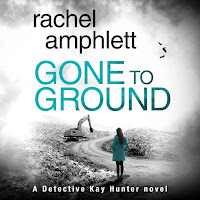 As always, I anxiously await the next book in the series, and seriously, I can envision author Rachel Amphlett continuing to write them right through Kay being a middle-aged woman, at the top of the career ladder. Now wouldn’t that be a twist? 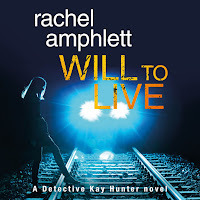 I received this audio book as part of my participation in a blog tour with Audiobookworm Promotions. 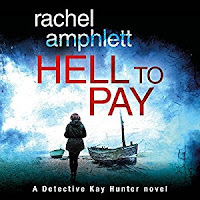 The tour is being sponsored by Rachel Amphlett. The gifting of this audio book did not affect my opinion of it. 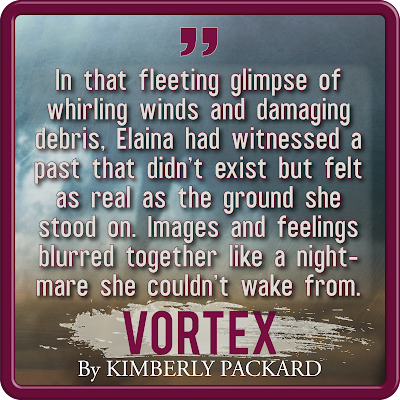 Vortex ~ Lone Star Book Blog Tours Promo, Notable Quotable, & Giveaway!